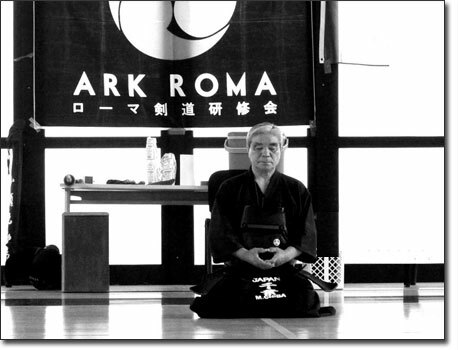 Since 2009 is Accademia Romana Kendō's shihan. In Japanese the term shihan state not only the head instructor, but also a person, which is model in both Kendō and life. He achieved the highest possible grade in Kendō, the 8th Dan Hanshi. Title held by less than one hundred people around Japan. Born the 20th of April 1944 (19th Shōwa) in Nakata, Miyiagi prefecture. From Kogota Nōrin high school he entered Tokio's police headquarters, the famous Keishichō, where he obtained a great number of successes, reaching worldwide esteem and consideration. His reputation is also due to the fact that he has been the strongest kenshi in jōdan no kamae of the history of Japanese Kendō; so strong he was able, in seven years – from 1966 to 1972 -, to win three times and get two times the second place in the individual national Japanese tournament, the famous "Zen Nippon Kendō Senshuken Taikai". He then became the head instructor of Tokio's police headquarters and retired in spring 2004. He is now honorary Kendō master at Tokio's police headquarters, master at kendōbu of Hitotsubashi University and shihan at Accademia Romana Kendō. He is often invited as a referee in the most important competitions. 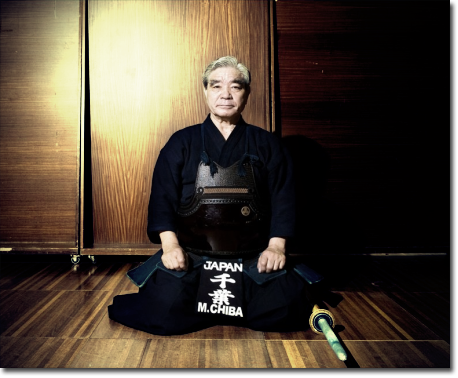 In 2008 he was the main referee in the final of the 56th Zen Nippon Kendō Senshuken Taikai won by Kenji Shōdai.